If one of your friends accidentally reported some of your content as either abusive or marked it as spam spam, Facebook will automatically flag your account while it investigates the reported content. It is also possible that another user has reported your account as fake and requested that your account be removed. Read Facebook's Terms and Community Standards carefully to avoid any accidental issue. If you believe that your account has been disabled by mistake, you may appeal Facebook's decision by completing an online form. Once submitted, Facebook will investigate the issue. Keep in mind that requests are not guaranteed within a certain time span — you may find yourself waiting for several weeks before receiving a response. Facebook takes its security measures very seriously, so if an account appears to pose any sort of security threat, the system will automatically flag it for review, therefore disabling user access. Other reasons can include any of the following cases: creation of an account under a false identity, promoting illegal content, unsolicited contact, harassment of other users, inappropriate or spam advertising, or general suspicious activity. If Facebook suspects that you have two accounts or that you have created an account under a false name, you may receive a message that reads: Unfortunately, you won't be able to access your account while we're reviewing these additional documents. We appreciate your patience, and we'll get back to you as soon as we can. If this is the case, you will be asked to submit additional documents to help Facebook verify your identity. You can read more on which type of documents Facebook accepts, how to upload your document, why you must upload proof, and what happens to your document after you have uploaded it by reading Facebook's official Help page. When uploading your documents, take care to cover up any confidential information (e.g. your license or passport number) to lessen the risk of identity theft. All documents should be clearly scanned, with your name, birthday, and photo properly displayed. Once your documents are scanned and saved to your computer, head back to the contact form, click Upload, and select the file containing your ID. Remember that Facebook may take a several weeks to respond to your request. Also note that, if you have created your Facebook account under a false ID, or if the name of your account does not match exactly the name on your documents, you will not be able to recover your account. Here are some tips on how to restore access to a locked or disabled Facebook account. Please note that account recovery time may vary depending on the reason of a locked account. Accounts deemed as pirated, phished, or compromised can be disabled by Facebook. If this is the case, you can proceed in one of two ways: by cleaning up your browser or by going through an additional verification process. To restore your account, you can try avoiding making any attempt to open your Facebook account for 96 hours. Also, clear your browser cache, and delete your cookies. In some cases, this may be enough to restore account access. If your login attempts still fail, you can also go through an additional automated security verification process. One way to do this is by confirming your mobile number by asking Facebook to send a code via text message to your phone that you can enter online. Another method is to verify your friends by identifying them in random photos in which they are tagged. If successful, you will be greeted with a congratulatory message and will regain access to your account. There is no exact science that can ensure access to your account at all times, but there are a few measures that you can take to prevent your account from being locked, flagged, or disabled. 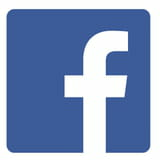 Our first recommendation would be to review Facebook's Terms and to observe the Community Standard Rules. Again, any deviation from these rules are often quickly flagged and could result in investigation into your account. We also advise against the use of proxy servers or servers that use anonymous IP addresses in order to access blocked sites. The use of proxy servers may have a negative impact on a Facebook account, as proxies are unknown to Facebook and may affect the overall network security. Finally, we recommend not accessing your account on multiple devices at the same time. While Facebook does, of course, allow for multi-device authentication, accessing your account on various devices at once may be viewed as a security breach. To avoid this, always log out from the device that you used previously before trying to log in with another. Published by Christina Langer. Latest update on November 30, 2018 at 02:17 PM by Daniel Telele. This document, titled "What To Do When Your Facebook Account Is Locked or Disabled," is available under the Creative Commons license. Any copy, reuse, or modification of the content should be sufficiently credited to CCM (https://ccm.net/).